Project Description During the pre-design phase, Caltech’s requirements were reviewed and preliminary engineering was proposed for the HVAC and plumbing system modifications. Cost estimates were generated throughout the pre-construction phase. Field conditions were confirmed and existing pipe sizes were checked to ensure flow rates were not adversely affected in the existing system. HVAC systems were designed to strictly comply with humidity, pressure, temperature, ventilation and noise considerations. After the schematic design was approved, plans and specifications were prepared for construction. Plan check was completed and permits were pulled. The mechanical design phase took two months. 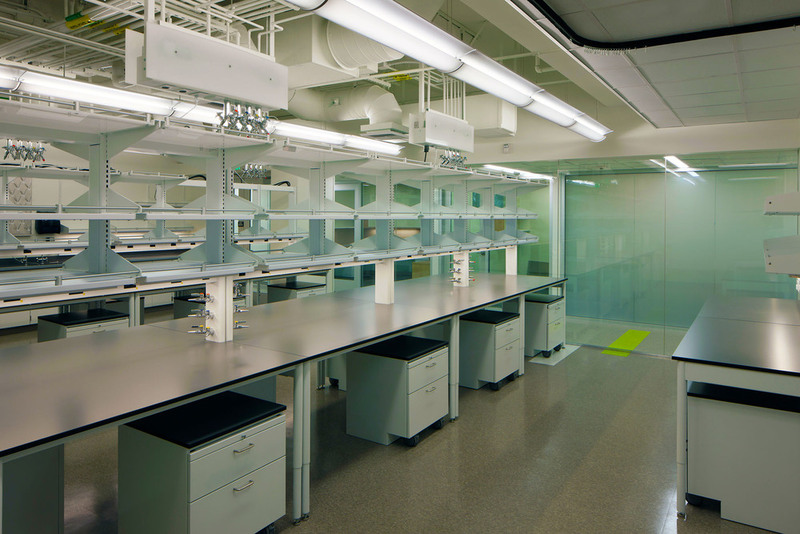 The laboratories were renovated to accommodate new programs. The mechanical portion of the project included new air handler units, modifications to existing air handler units, laboratory ventilation control systems, exhaust systems, duct work, process piping, plumbing, DDC controls, commissioning and air balance. The construction phase was completed in six months, both on time and within budget. This world class laboratory is in operation 24/7/365 and contains vivariums, and animal care facilities. Care was taken to ensure that the air supply was not contaminated. In addition, the building was occupied during construction, the air flow and pressure relationship could not be compromised. Professors were very involved with the specifications for the laboratories and communication was a key element during the planning and the construction phase.